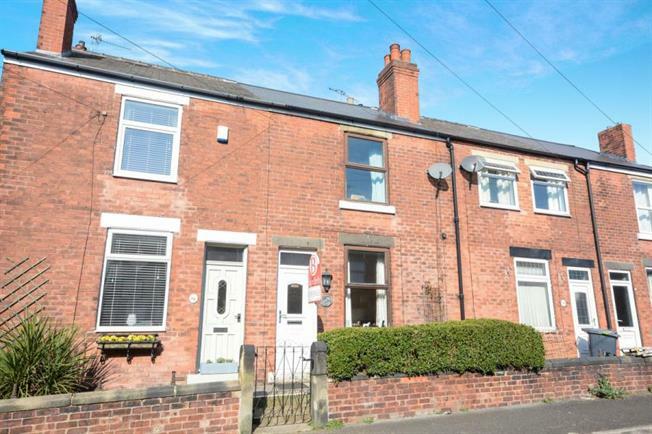 2 Bedroom Terraced House For Sale in Chesterfield for Guide Price £120,000. An excellent two bedroom terraced property located in this sought after area. Enviably located and well presented this property truly needs to be viewed to be fully appreciated. Close to many popular local amenities and public transport links. Briefly the property comprises of entrance door leading into the living room with feature fireplace and the kitchen benefits from a range of wall and base units. There is access from the kitchen to the well maintained and low maintenance rear garden. Stairs lead to the first floor and two bedrooms and family bathroom with w.c, wash hand basin and bath.